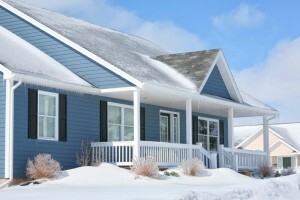 Cold winters mean dry air, which means a whole host of problems for your home. Some heating systems can address the problem haphazardly, but others may actually add to it, and your home could suffer as a result. A whole-house humidifier, on the other hand, makes the perfect response to low humidity in your home, and can serve you well not only for the remainder of this winter, but for many winters to come. We measure humidity levels as a percentage, called relative humidity. 0% relative humidity means no moisture at all, while 100% relative humidity basically means rain. Low humidity is characterized as relative humidity levels below about 30% or so. It’s common in the winter because — as the temperature falls — the ambient moisture in the air coalesces into droplets, leaving drier air behind. In the spring and summer, it’s what causes dew to form in the early morning hours. At that level, the dry air leeches moisture off of your skin and furnishings in your home. That has a number of detrimental effects, including the following. Your skin feels raw and itchy, and can even cause the skin to crack. Chapped lips are common as well. Colds and illnesses become more common. Our sinuses and mucous membranes form the first line of defense against cold bugs. Low humidity levels dry out our sinuses, which is one of the reasons why illnesses are so prevalent in the winter. Static electricity increases, leading to painful shocks and frizzy hair. In the worst cases, it can even affect electronics in your home. Heating costs go up. Dry air feels cooler than it actually is, which means the heating system in your home will need to work harder to do its job. Monthly rates will go up, and the chances of a breakdown in your system will increase. If you have a boiler or a radiant heating system, the issue can be somewhat addressed, though they’re not set up to deal with low humidity levels, and the effort to address it could lead to higher bills. If you have a forced-air furnace, the problem can often get worse. A humidifier makes a great solution to this issue. They’re fairly simple systems: usually just a pad or wick fed by water, with a fan blowing across the surface. 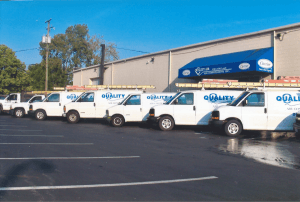 It works in conjunction with your heating system in many cases, and will ensure not only that your home is comfortable at all times, but that problems associated with dry air are left behind. Incidents of illness will drop and your skin won’t have that terrible itchy feeling again. Whole-house humidifiers are easy for professionals to install and can be maintained along with the rest of your HVAC system once a year. Best of all, they give good value for their money, and most will last a good long time before requiring repairs or replacement. If you think a humidifier is a good inclusion for your Columbus, OH home, call the pros at Quality Air Heating and Air Conditioning today!